When selecting the best system for a 3D CAD software such as SolidWorks, most people do not take time to find the right mouse or CAD keyboard. Modern computing is headed towards touch-screen only interfaces. However, it will be many years before the GUI interaction ceases to be an integral part of computer-related operations. If you are looking for the best mouse for SolidWorks, continue reading this CAD mouse review. Contoured shape with soft rubber grips for all-day comfort. How Do You Determine the Best CAD Mouse? Before choosing a SolidWorks mouse, consider how much time you will be spending using the CAD software. The longer you would be working with the software, the more you need to consider the ergonomics of the mouse. Like other interactive programs, SolidWorks is quite “click-heavy”. Which is the Best Mouse for SolidWorks? 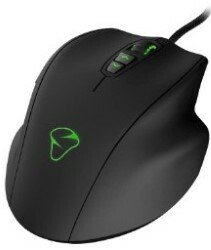 Read the SolidWorks mouse reviews below to find out which accessory would be right for you. 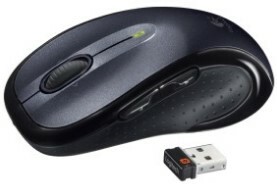 If you are looking for a cheap CAD mouse, get the Logitech M520. The mouse may be cheap but has some nice features that make it an excellent buy. The M520 has a rubberized grip that will ensure your hands are comfortable when working on your CAD project. 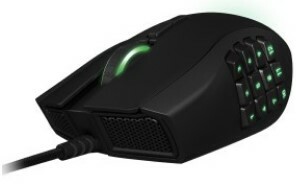 The Razer Naga is a comfortable mouse that we recommend if you work with SolidWorks. This mouse had many buttons that you can configure to make it work as you expect. The CAD mouse has a scroll wheel that can move in all directions. The Logitech M570 has trackball technology and, therefore, will keep your hands safe from injuries. Instead of moving the wrist or hand to move the mouse, you use the fingers on the trackball that is on top of the mouse. This excellent mouse for SolidWorks has an ergonomic feel. Your hand will rest nicely on it as you work on your designs on the CAD program for hours. If you use SolidWorks on a regular basis, you need the 3D Connexion SpaceNavigator. This mouse is specially made for 3D modeling and allows you to move in 6 directions, giving you the best control. Why Buy the Best SolidWorks Mouse? Most people make the mistake of buying the cheapest CAD mouse they come across. However, these mice often end up not providing the support or performance expected. However, you also do not want to buy a mouse simply because it is expensive. The conventional laptop mouse is convenient when you are traveling. However, it can make your fingers uncomfortable using it daily for weeks. Moreover, its compact size makes the index finger to click in an awkward position, which can strain it can lead to conditions such as carpal tunnel. On the minimum, you should invest in a mouse that is large enough for your hand to rest upon comfortably. The above are the best mice for SolidWorks. These CAD accessories are ergonomic and convenient when you are traveling with a laptop. Ergonomic mice provide a place where the hand can rest in a more natural, slightly supinated, “handshake position”. You may find it challenging to transition from a standard mouse to an ergonomic one during the first few days but will get used to it after some time. If you work with SolidWorks or any other CAD program, you need the best 3D mouse you can afford. The mouse should provide a unique experience and have plenty of features to make your work easier. 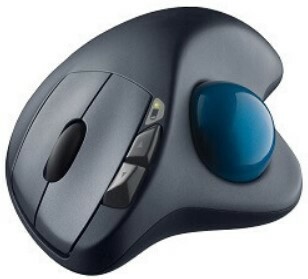 If you use SolidWorks on a regular basis, it is important to find a mouse that your hand will rest upon naturally and relax after clicking. You also want a mouse pad that has an additional cushion to support your wrist. 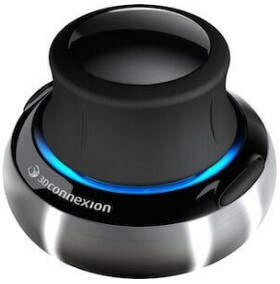 We recommend the 3D Connexion SpaceNavigator.